After a patient goes into kidney failure, the patient will need to start dialysis. Dialysis involves cleaning the blood outside of the body; this is performed by a machine in hemodialysis or by regular fluid exchanges in peritoneal dialysis. Patients on both types of dialysis have to be careful about the foods they eat, although hemodialysis patients do not receive treatment every day, so they need to be even more careful. Phosphorus, potassium, sodium and fluid levels can increase in between dialysis sessions and can cause health problems. Limiting the amount of foods that contain each of these substances can help prevent these issues. Foods that contain high levels of potassium and high levels of phosphorus should be limited or avoided by people on dialysis, according to DaVita. High potassium levels can cause muscle and heart problems; high phosphorus levels can lead to weak bones. Dairy products like milk, cheese, and yogurt contain high levels of both minerals, and patients should limit or completely avoid these foods while on dialysis. 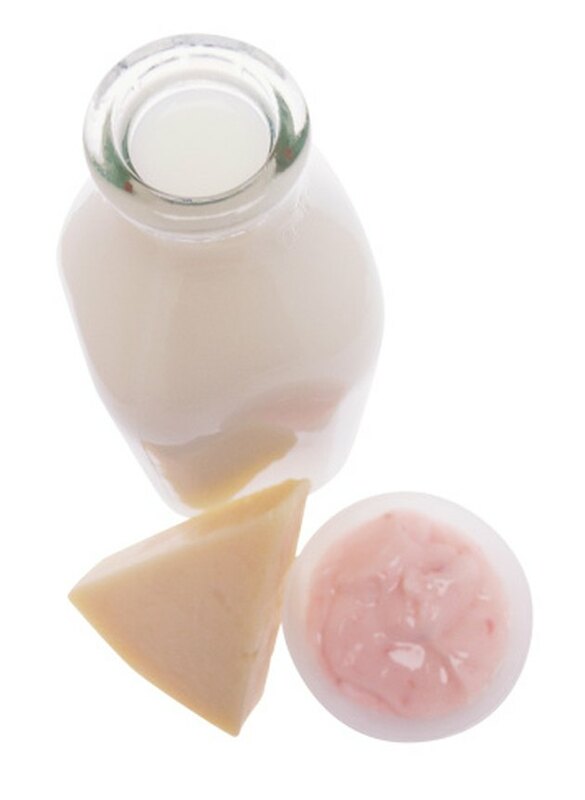 According to the National Kidney Foundation, dialysis patients should limit their dairy intake to 1/2 cup of milk or 1/2 cup of yogurt or 1 ounce of cheese per day. Whole grain products like whole wheat bread, bran cereal or brown rice all contain significant amounts of phosphorus, according to the National Kidney Foundation. Some of these foods also have high levels of potassium as well, according to the DaVita website. These products should be avoided by dialysis patients. Sodium levels can become elevated when the kidneys are not functioning properly, leading to fluid retention in between dialysis sessions, according to Baptist Health Systems website. Patients on dialysis should limit sodium intake to avoid this problem. Canned foods contain large amounts of sodium and should be avoided as much as possible. Nuts and seeds should be avoided by patients on dialysis because they contain high levels of both phosphorus and potassium, according to the National Kidney Foundation. Peanut butter, dried peas, beans and lentils also contain both minerals as well. A dietitian can help the patient determine appropriate food substitutions, according to The National Kidney and Urologic Diseases Information Clearinghouse. Many types of fruit contain potassium but some kinds have high levels of the mineral, according to the National Kidney Foundation. Limiting or avoiding the fruits that have large amounts of potassium is important for patients on dialysis. Examples of fruits to avoid include bananas, kiwi, and avocados, according to The National Kidney and Urologic Diseases Information Clearinghouse. Oranges and dried fruits should be limited or avoided as well.